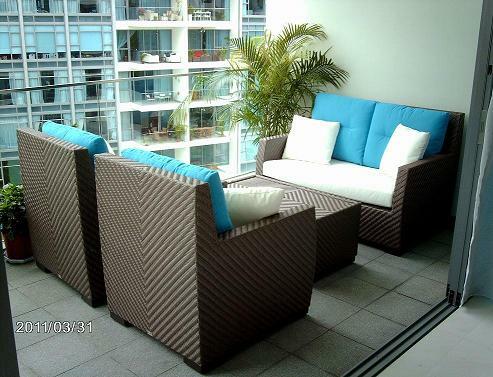 The Toscana Sofa Set is a comfortable set, with high back rests which is fantastic for lounging long periods outdoors. Consisting of a 2-seater lounge, as well as 2 single lounge chairs and glass top coffee table, the Toscana provides space for entertaining and relaxation. It is available in 2.5-seaters, 3-seaters and an optional ottoman as well.